Morning Pointe of Knoxville (TN) recently received some of its first four-legged visitors, two cuddly and loveable pups named Puddin’ and April. 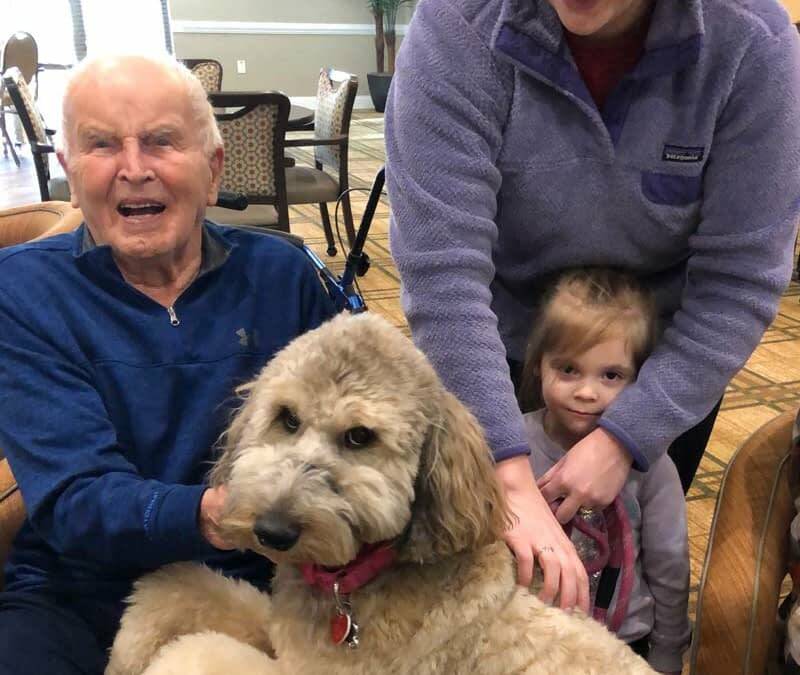 The goldendoodle and Cavalier King Charles spaniel, pet therapy dogs registered with the Alliance of Therapy Dogs, visited the new assisted living and Alzheimer’s memory care community with their owners Erin Reece and Ruth Andrick. Morning Pointe Senior Living schedules regular visits from pet therapy groups at both its assisted living and Alzheimer’s memory care communities, as research has shown that pet therapy can reduce pain symptoms, depression, anxiety, and stress. For more information on therapy programs offered at Morning Pointe Senior Living communities, including pet therapy, visit https://morningpointe.com/alzheimers-therapy-programs/.